In this imaginative new work, Adam Lowenstein explores the ways in which a group of groundbreaking horror films engaged the haunting social conflicts left in the wake of World War II, Hiroshima, and the Vietnam War. Lowenstein centers Shocking Representation around readings of films by Georges Franju, Michael Powell, Shindo Kaneto, Wes Craven, and David Cronenberg. He shows that through allegorical representations these directors' films confronted and challenged comforting historical narratives and notions of national identity intended to soothe public anxieties in the aftermath of national traumas. Borrowing elements from art cinema and the horror genre, these directors disrupted the boundaries between high and low cinema. Lowenstein contrasts their works, often dismissed by contemporary critics, with the films of acclaimed "New Wave" directors in France, England, Japan, and the United States. He argues that these "New Wave" films, which were embraced as both art and national cinema, often upheld conventional ideas of nation, history, gender, and class questioned by the horror films. 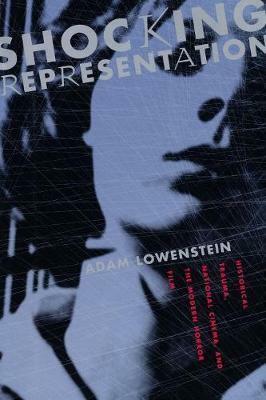 By fusing film studies with the emerging field of trauma studies, and drawing on the work of Walter Benjamin, Adam Lowenstein offers a bold reassessment of the modern horror film and the idea of national cinema. Illustrations note 26 b/w illus.